This comprehensive text presents a detailed, heavily illustrated, step-by-step approach to restorative and preventive dentistry. It draws from both theory and practice, and is supported by extensive clinical and laboratory research. Based upon the principle that dental caries is a disease, not a lesion, the book provides both a thorough understanding of caries and an authoritative approach to its treatment and prevention. Now offering a companion Evolve website, this new edition has been updated to address the latest developments in an ever-changing field. 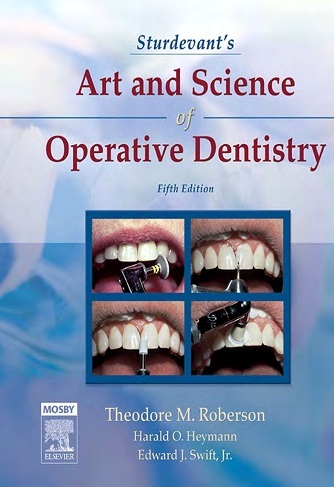 Comprehensive coverage of operative dentistry includes fundamentals, diagnosis, instrumentation, preparation, restoration, and prevention, all within a single volume. Up-to-date information covers insurance, safety, and infection control, based on the latest reports and guidelines from organizations such as OSHA and ADA. A clear, consistent presentation describes each restorative process in a linear pattern: initial clinical procedures, tooth preparation, and then restorative technique. Procedural alternatives include multiple approaches to problems wherever applicable, teaching how to adapt a procedure or technique to answer individual patient needs. Pros and cons of restoration options include advantages, disadvantages, indications, and contraindications for restorations. A course-based presentation of topics follows that of many operative dentistry courses, making students’ absorption of content stronger and more efficient. 2,550 illustrations include 700 high-quality half-tones and line drawings – more illustrations than any other operative dentistry text. Full-color clinical photos illustrate important concepts – such as coloration and shading on both natural teeth and prostheses. Computer assisted design and computer assisted machining (CAD/CAM) is incorporated into the practice of operative dentistry and related to techniques. Esthetic dentistry instruction is included for this increasingly popular area. Chapter outlines begin each chapter and highlight important topics. Extensive references direct readers to current resources available for additional research.